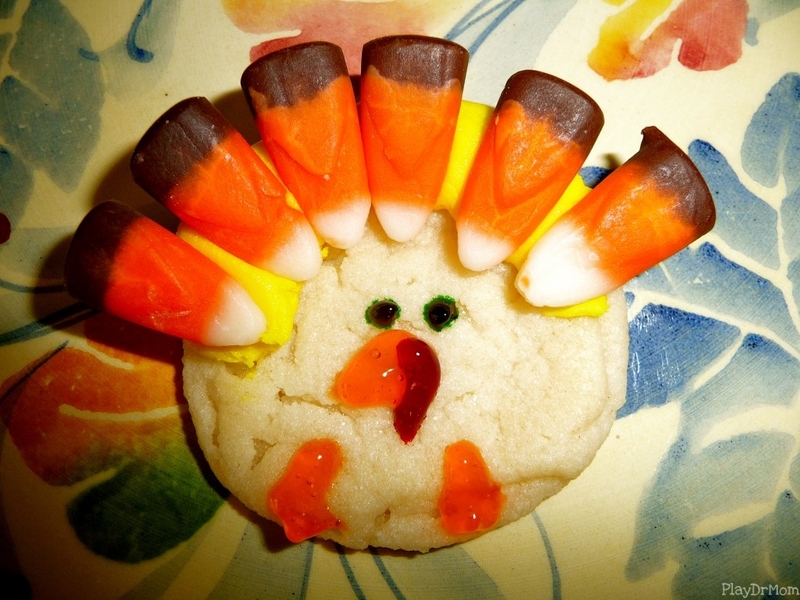 We were hosting an impromptu family dinner last Sunday, so it gave me an excuse to try out these super cute Turkey Cookies for dessert. I believe I first saw this idea on Pinterest (link here). 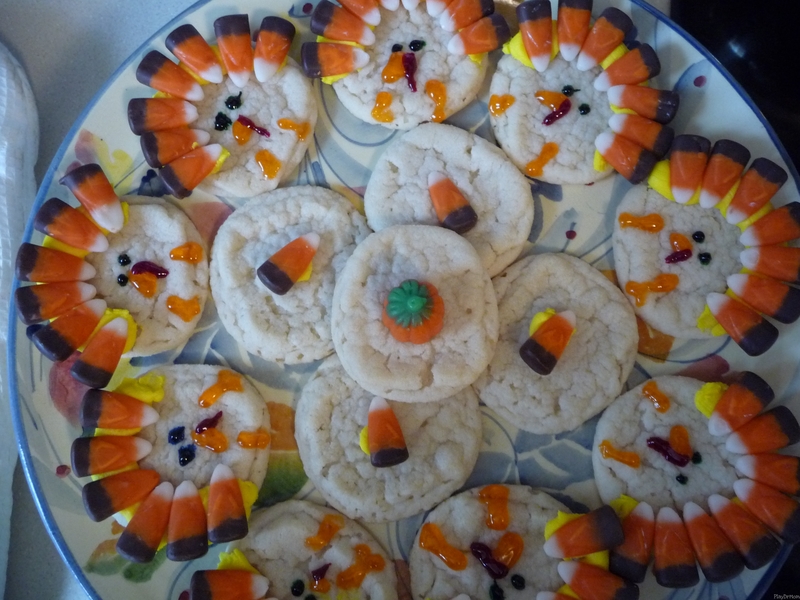 I used the “break-and-bake” sugar cookies, Indian Candy Corn, and some extra cake/cookie decorating icing we had around the house. The kids were much more interested in eating the candy and cookies then the decorating … but they did turn cute … and yummy!